Aboriginal settlers arrived on the continent from Southeast Asia about 40,000 years before the first Europeans began exploration in the 17th century. No formal territorial claims were made until 1770, when Capt. James COOK took possession in the name of Great Britain. 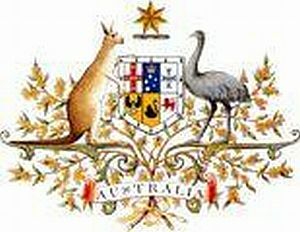 Six colonies were created in the late 18th and 19th centuries; they federated and became the Commonwealth of Australia in 1901. The new country took advantage of its natural resources to rapidly develop agricultural and manufacturing industries and to make a major contribution to the British effort in World Wars I and II. In recent decades, Australia has transformed itself into an internationally competitive, advanced market economy. It boasted one of the OECD’s fastest growing economies during the 1990s, a performance due in large part to economic reforms adopted in the 1980s. Long-term concerns include climate-change issues such as the depletion of the ozone layer and more frequent droughts, and management and conservation of coastal areas, especially the Great Barrier Reef.